What do these switches do please? This is on a 235 Fiesta Vee. Can anyone suggest what the switches marked ACC and NAV ANC are for please? Also what could the switch above the ignition be and the little white button next to the ignition key? Thanks. 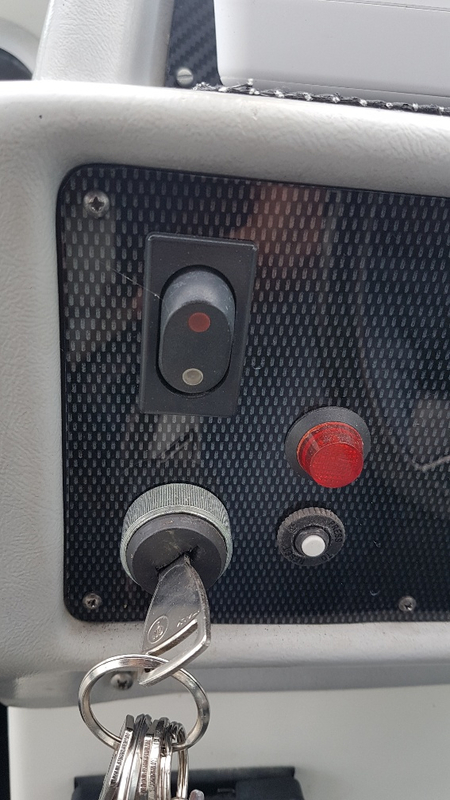 The switch and breaker by the key are for your engine blower. ACC is accessory, could be lights or whatever someone wired to there. Maybe nothing, from the factory it's a spare switch. ANC and NAV are anchor light and navigation lights. New to this. What's the engine blower please? There is (or should be) a blower fan and ducting in your engine compartment that must be run for several minutes before starting your engine to clear out any potentially explosive gasoline fumes that may have accumulated. USE YOUR BLOWER before you start EVERY TIME. There have been many explosions because people don't do this. Fumes can escape your gas tank and reach explosive limits, and upon ignition ... KABOOM. 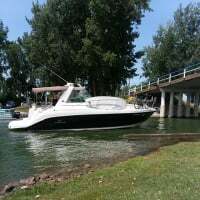 Look online for minimum run times before you start up, but what I do is the minute I get to the boat, I switch on the blower, then I tend to the lines, canvas, shore power, etc. And by the time I'm ready I start her up and everything seems fine ... let the engine warm up and go. As others stated ACC is accessory ... it's normally a spare switch if you want to add something like lights or electronics (fish finder?). 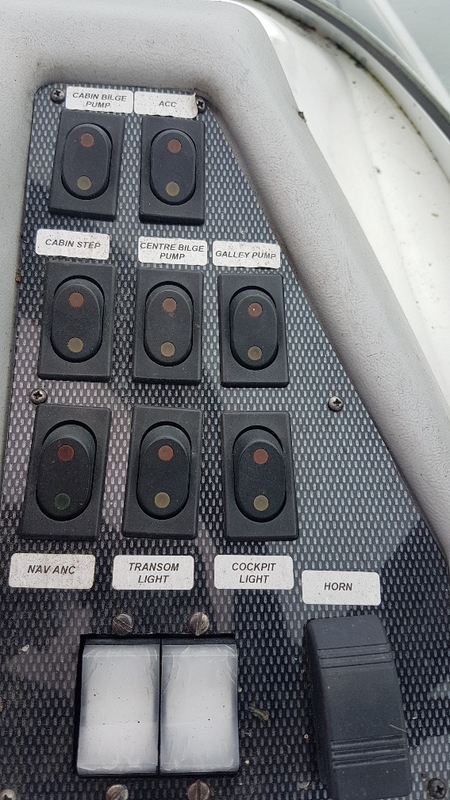 NAV/ANC is a rocker switch to turn on your navigation lights when travelling in the dark, or anchor light only when you are anchored in the dark. That white button beside your ignition I think is a breaker ... looks similar to the one I had, but my button was black. It's probably a low amp fuse, and if it trips the button pops out. You would push it back in to reset it. Is yours a diesel? Blowers are not legally required with a diesel, at least here in the U.K. There is one on my 270 though. blower must be run for a MINIMUM of 4 minutes before starting the engine. You'll hear it when you hit the switch, sounds like a fan. If you dont hear it, dont start the boat and look in to repairing it. Never start the boat without running the blower first.